Establishing Harnand Foundation Schools for free remedial education to poor children living in slum dwellings and helping their parents in providing quality education for their children. It is time now to reflect upon that every child has the right to get education and not just elementary but much more than imagined for the under-privileged. We, at Harnand Foundation take the pledge to educate them, to reach out to those who work and earn at a tender age to contribute to their family’s paltry income. Looking into the fact, one in four children in India do not finish primary education often because they have to work. Working children are a normal phenomenon in India. Ask yourself, do they deserve working under difficult and dangerous conditions just to contribute their bit to their family? Why we cannot think of educating these children to be able to grab opportunities and do a job of their liking? 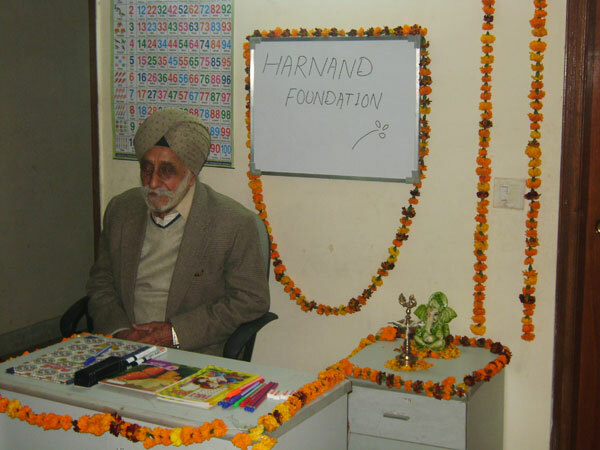 Harnand Foundation is established to give free remedial education to the children belonging to the slum area and the underprivileged parents, who cannot afford quality education. Inspired by Mr. Harbhajan S Anand and Nand K Anand our founders, the organization passes on their legacy with a willingness to succeed and educate children in the best way possible and has made an effort to give vocational training and encourage them further. 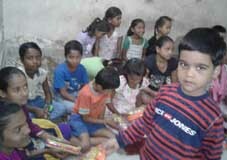 Harnand foundation took the initiative knowing the fact that thirty per cent of India’s population lives in urban slums. The teeming millions who live in slums, on the streets, near railway lines and in the uninhabitable parts of the urban conglomerates in India tell a distinct story. A majority of these people — who form 30 per cent of the Indian population — are poor migrants who have moved to cities in search of work. While the adults do any work that they can find, most of the children spend their days not in school but doing things like picking rags, hanging around with their parents or simply wandering the streets and doing odd jobs to earn for their family. Getting children in these slums to school was a difficult task and likewise, keeping them in school was even more difficult but we led our way towards the slums to bring them in our schools and show them the light of knowledge and make them understand that education can help build up a better life. We at Harnand Foundation are aware of the fact that on an average, poor children enter school with far fewer vocabulary, literacy, math, and social skills than their middle-class peers. They start a step behind and never catch up; the gap in academic proficiency follows them to the end of their schooling. Therefore, we thought of getting to the roots first to make children at Harnand, proficient in English vocabulary and communication, do well with the numbers, know more about their Mother tongue language Hindi and get friendly with computers. Harnand Foundation offers education free, to make sure that nothing hinders them to attain education and their parents can only encourage them to continue education. In all Harnand Foundation Schools, there are no charges for supplies or any materials or any fees of any nature.